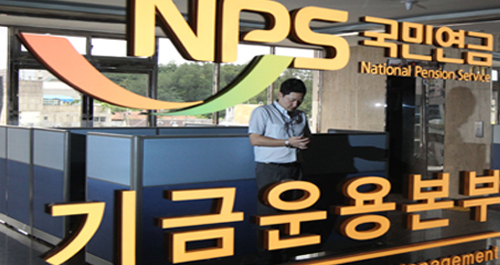 The Korean Inc. opened their stingy coffers to increase cash dividends to shareholders after the country’s biggest institutional player National Pension Service (NPS) took up an assertive role. According to the Financial Supervisory Service (FSS) on Wednesday, seven out of 10 companies publicly named by the NPS for miserly dividend policy that stayed stagnant for years has sharply increased payouts this year. Four doubled payouts - Hyundai Green Food (from 80 won to 210 won per common share), Hyundai Livart (from 100 won to 290 won), Gwangju Shinsegae (from 1,250 won to 3,000 won), and Korea Airport Service (from 500 won to 1,000 won). Only two kept dividends unchanged despite pressure from the NPS, with one who has yet to disclose the details - Namyang Dairy Products. The NPS blacklisted Namyang Dairy Products for meager dividends and disclaimed its balance sheet for three years in a row since 2016. The company, however, refused to comply with the fund’s request for bigger payouts claiming the extra money will only fatten majority shareholders connected personally with the family-run firm rather than the general shareholders and can be better spent later for future growth. Since adopting stewardship code last year, the world’s third biggest pension fund with 635 trillion won ($561 billion) has turned proactive to bolster shareholders’ rights and watch over corporate governance. It had disapproved financial statements of 51 companies during shareholders’ meetings over the past five years for stingy dividend payments.